Band from California with their lone release. Quirky postpunk/punk on this platter. Thanx thanx thanx for your great musical apport with this overwhelming blog, my pal!! 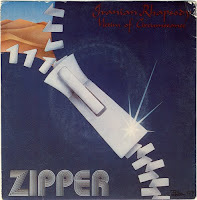 A question: these "Zipper" are the band Fred cole led in the end of the 70ies before the Rats and Dead Moon?